"If you have a problem with who I am, your problem is not with me. 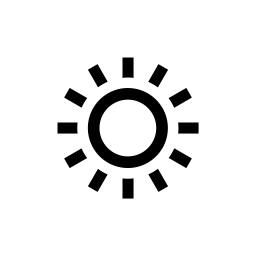 Your quarrel, sir, is with my creator." 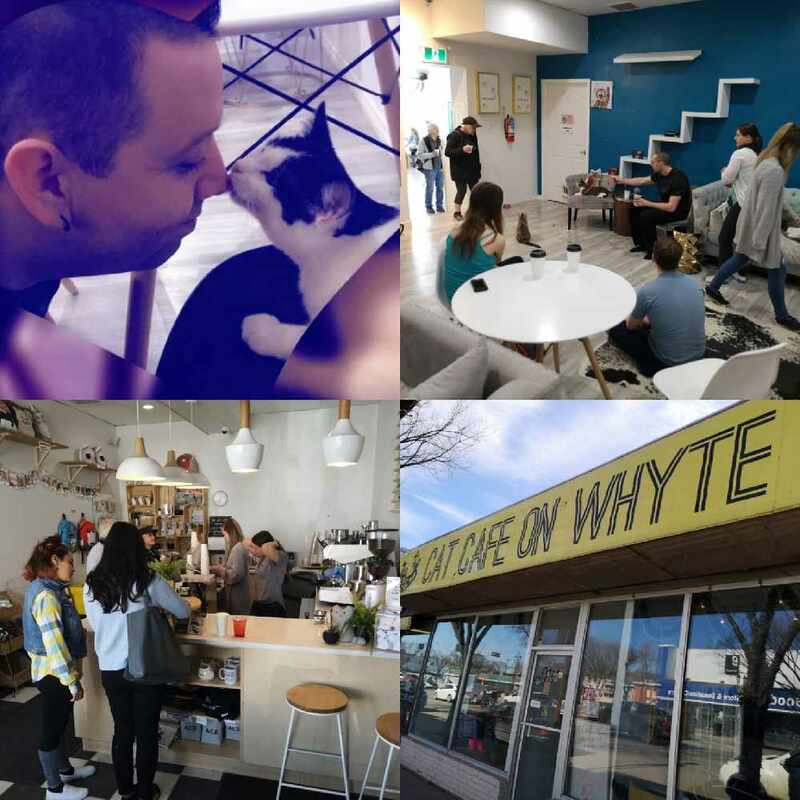 The Cat Cafe on Whyte avenue in Edmonton is the perfect place to socialize with other cat lovers and maybe even adopt a new pet! 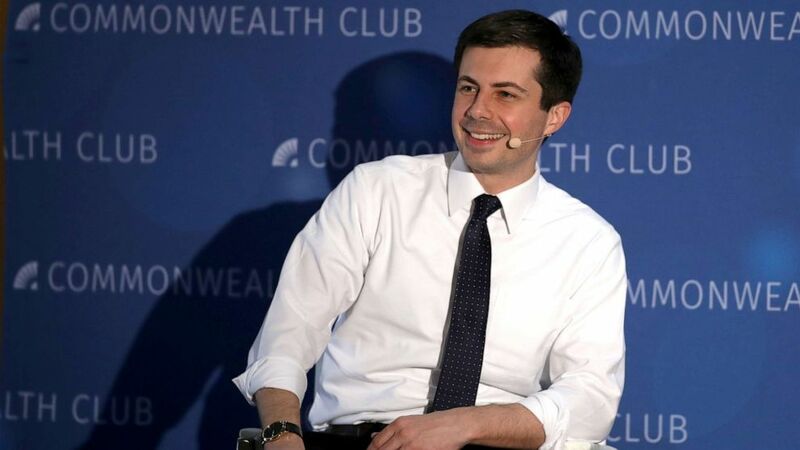 "Its the (Indigenous) voices that stand up at the top of the mountains, that's the ones that we need!" 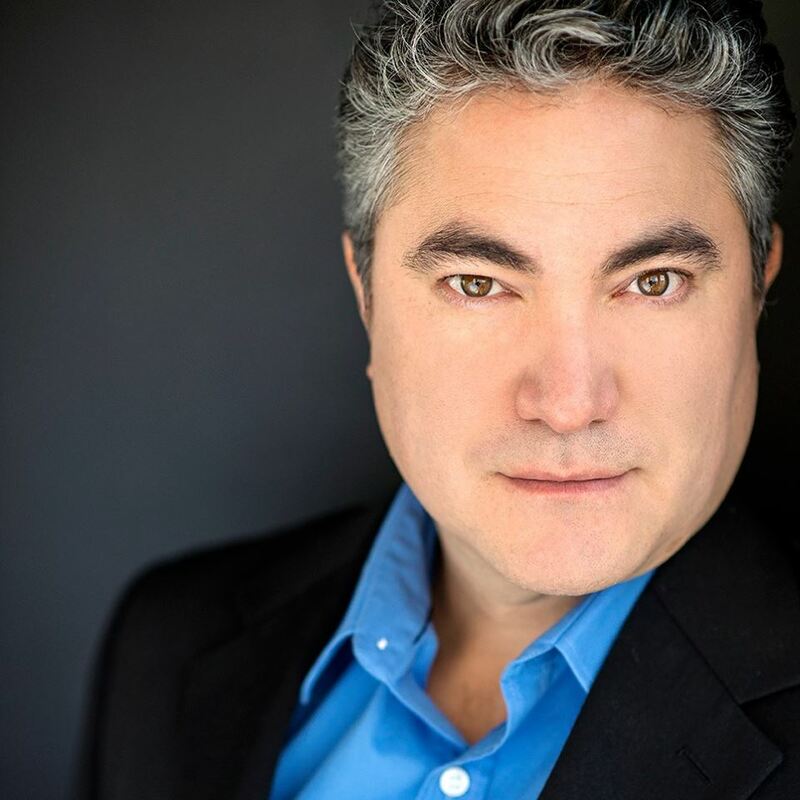 -Kevin Loring, Artistic director of the National Arts Centre's Indigenous Theatre Program. Listen to the interview here! Fuel for Hunger team members are in the Windspeaker studios to reflect on their 18 weeks of providing warm food and compassion on the streets of Edmonton! 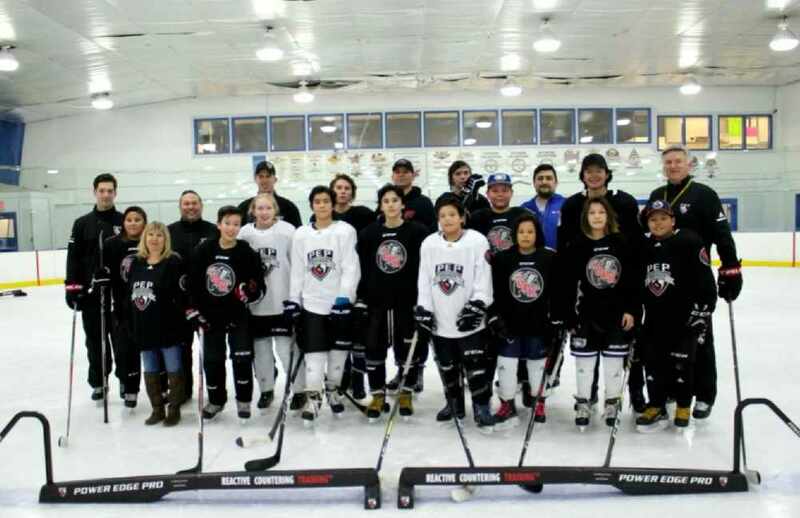 This was a collaboration with O.P.K (Bigstone Cree Nation Community School), Bigstone Education Authority, and the PEP (Power Edge Pro) hockey program! 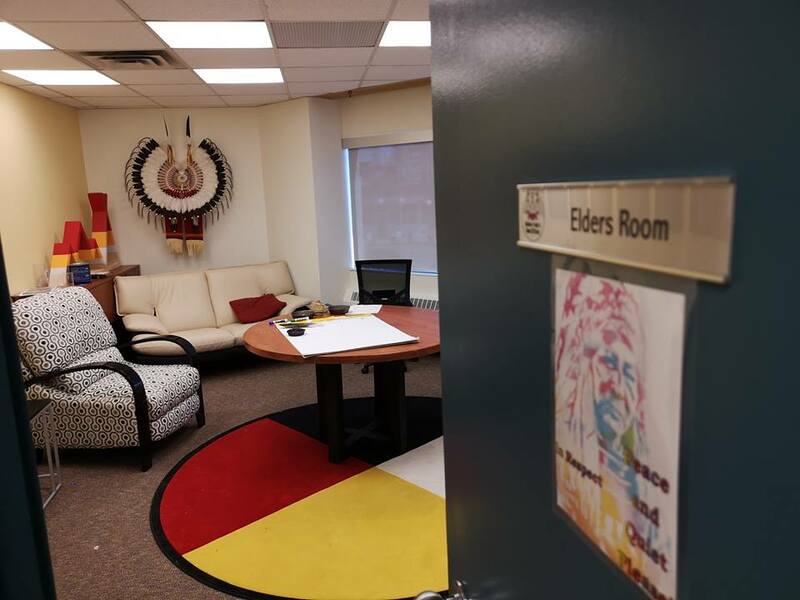 Check out my recent visit to the Treaty 8 Urban Office in Edmonton! 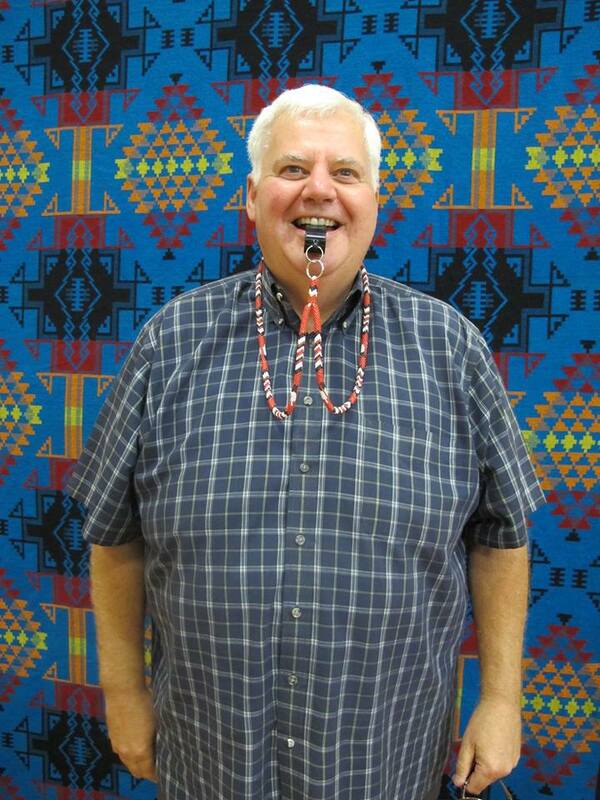 Don Burnstick "BAD JOKE" Ticket Giveaway! 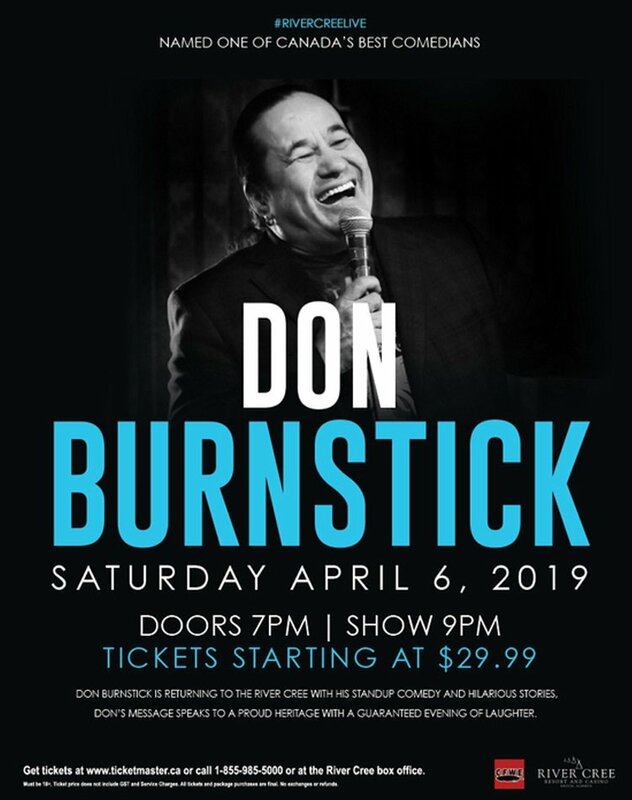 Phone in to Windspeaker Radio THIS WEEK with your WORST Bad Joke and win 4 tickets to Don Burnstick LIVE at River Cree on April 6th, 2019! Details here! 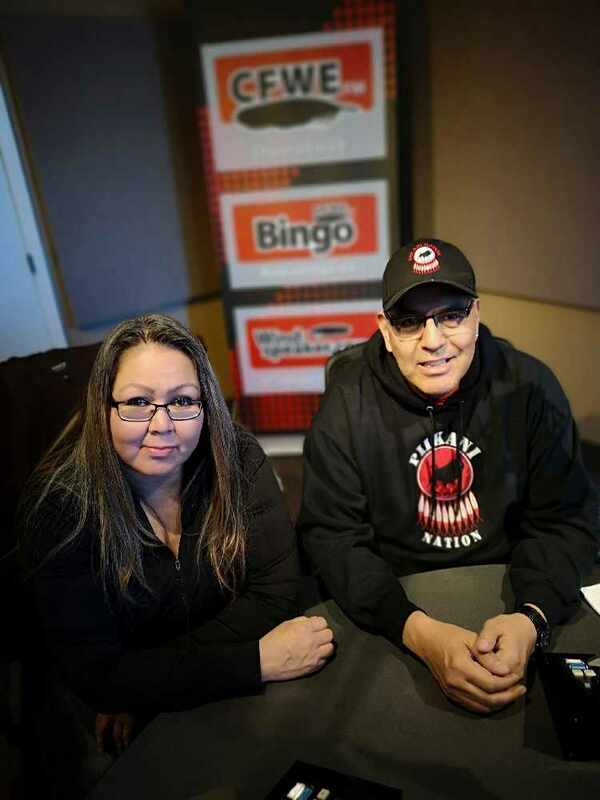 Adam North Peigan and Sharon Gladue from the Sixties Scoop Indigenous Society of Alberta talk about the "Bi-Giwen: Coming Home" 60s Scoop Exhibit and the Western Canadian Gathering. 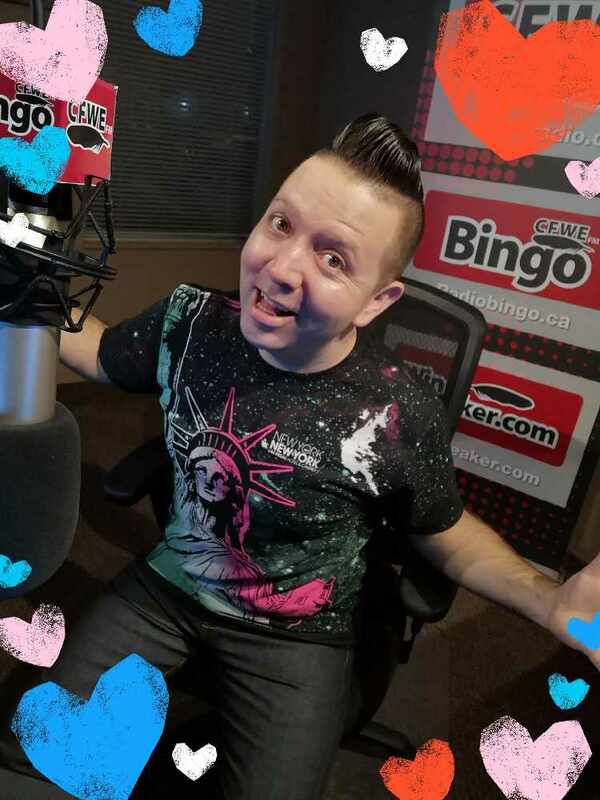 Designer Dusty Lagrande of M.O.B.I.L.I.Z.E. Streetwear plans to make a big statement on the runway at the Western Canadian fashion Week. Listen to the interview here! 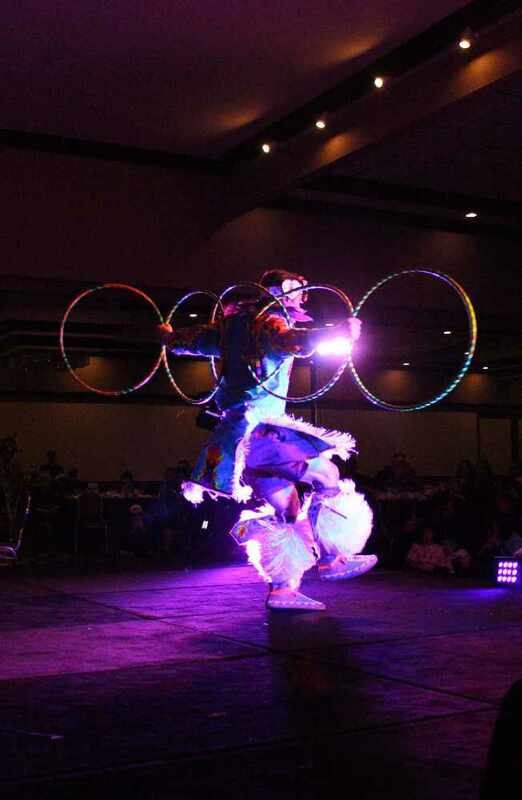 On March 15th-17th, 2019, all Treaty 8 Nations of Alberta united to host the 1st annual FIVE FEATHER GATHERING! Check out the video and pictures here! "Ancestors and Elders" Co-directors speak on the importance of Truth and Reconciliation. 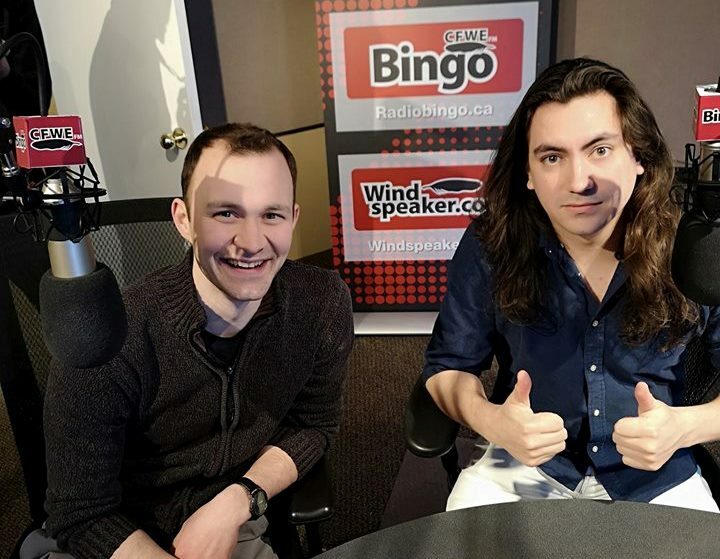 Co-Directors Barry Bilinsky and Joseph Hoffman from Shumka's "Ancestors and Elders" visit the WINDSPEAKER studios and share their unique perspectives on the Ukrainian / Indigenous relationship. 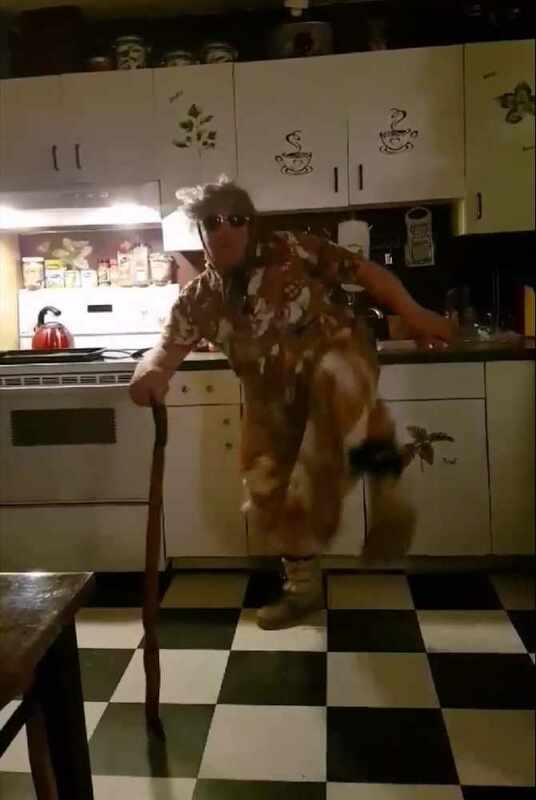 CFWE's "Kitchen Jigging Challenge" brings online laughter and joy to Alberta's Indigenous communities! 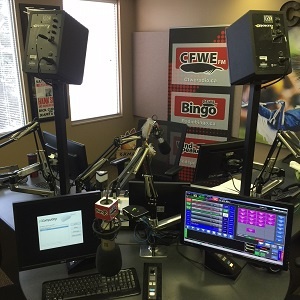 CFWE asks its listeners to send in their "Kitchen Jig Challenge" home videos! You gotta check these hilarious submissions! 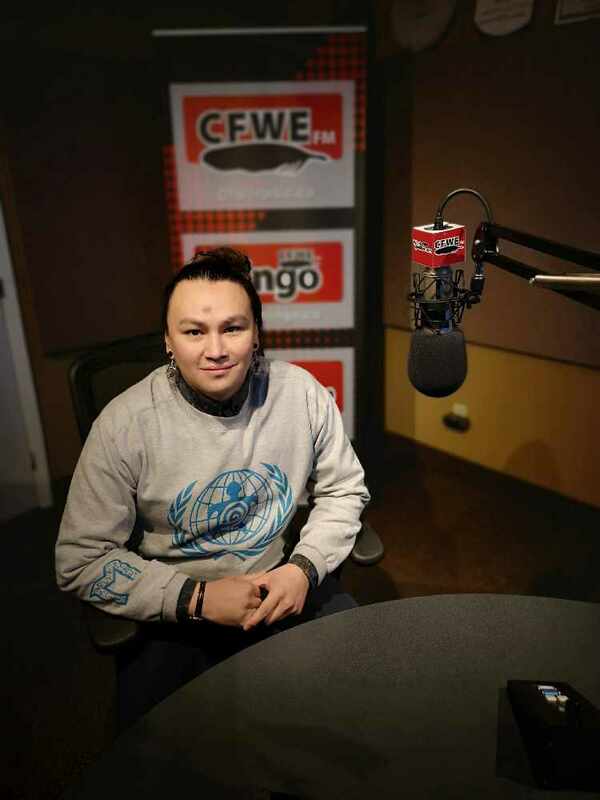 Driftpile First Nation Youth follows his dreams to Windspeaker Radio! 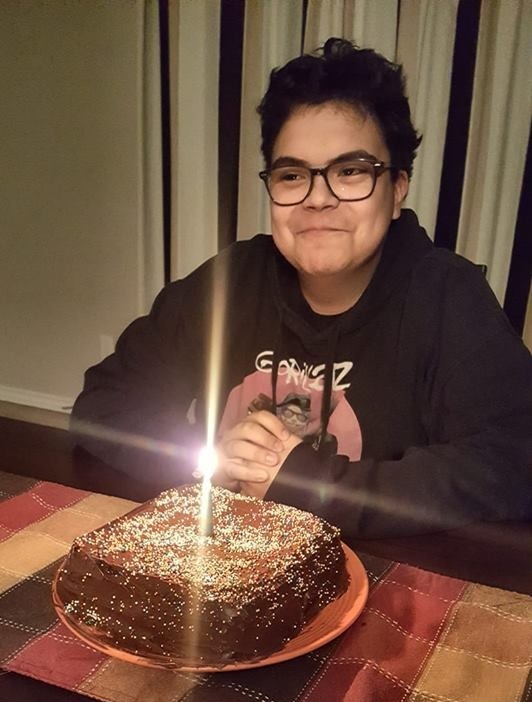 Logan Giroux from the Driftpile First Nations gets a surprise Birthday invitation to join the Windspeaker Radio team as an ON AIR intern for the day! 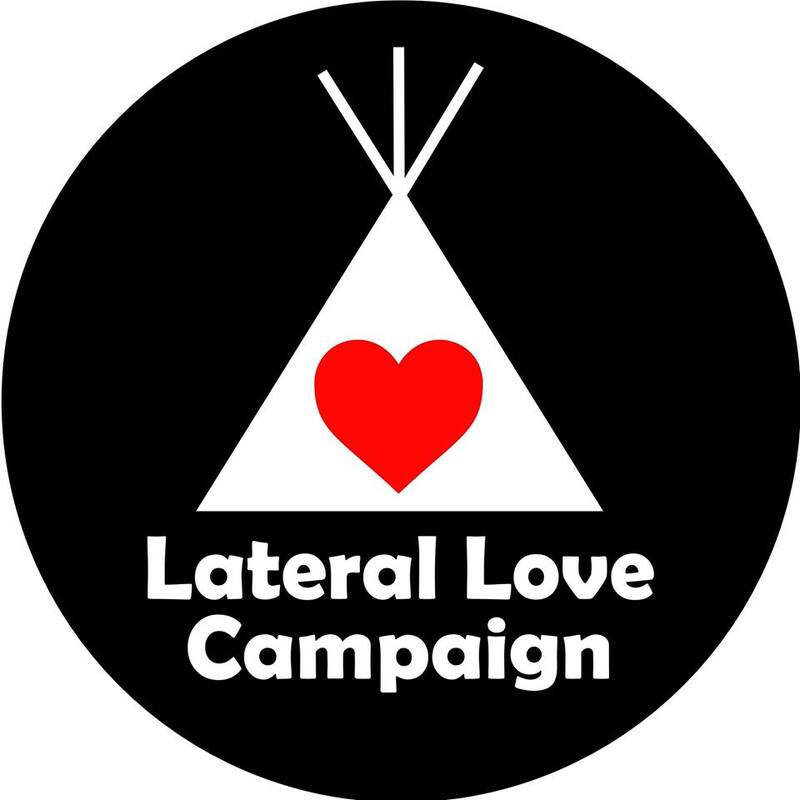 Help me fight against Lateral Violence by celebrating Indigenous role models, sharing inspirational stories and promoting a positive healthy lifestyles. Tina Keeper's new film "Through Black Spruce" set to premier on March 29th!! New Indigenous film tackles the issue of MMIW and features a family fractured by tragedy, and held together by love. Check out the trailer! Young Spirit Drum Group Rocks the Red Carpet at the Grammys!! 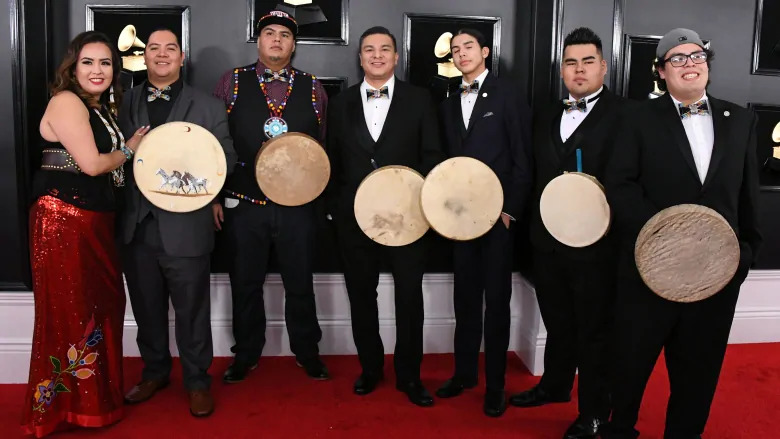 Traditional drum group "Young Spirit" from Frog Lake, Alberta sing and brush shoulders with musical legends at the 2019 Grammy Awards! 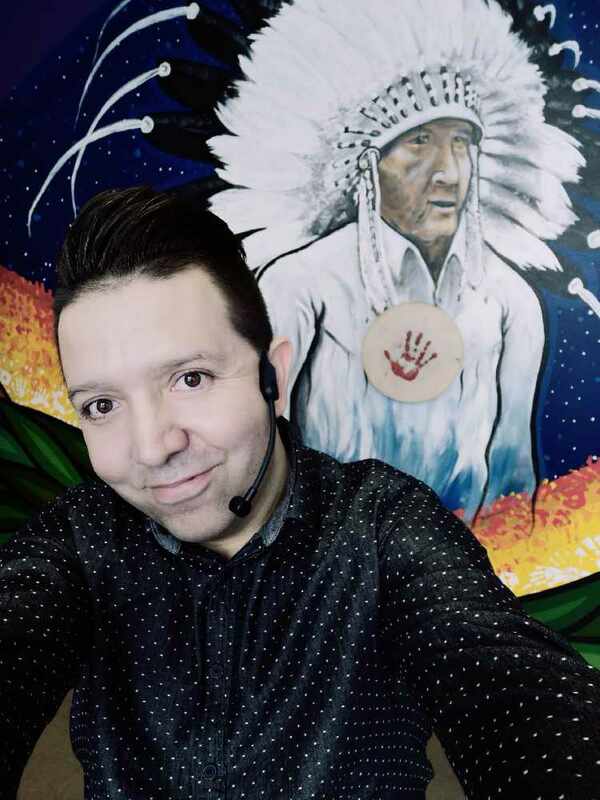 Cree Miniature Artist brings inspiration and to motivation to Indigenous schools in Edmonton. Lance Cardinal re-joins the Indigenous Knowledge and Wisdom Centre team as they present their second "Speaker Series", highlighting positive youthful role models and the I.K.W.C. Virtual Library. 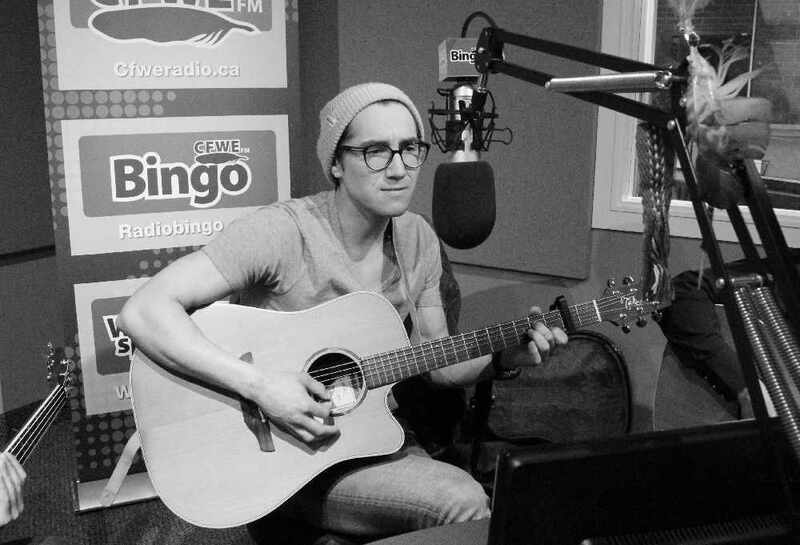 Brody Siebert performs "Does It Make You Lonely" at the CFWE studios! 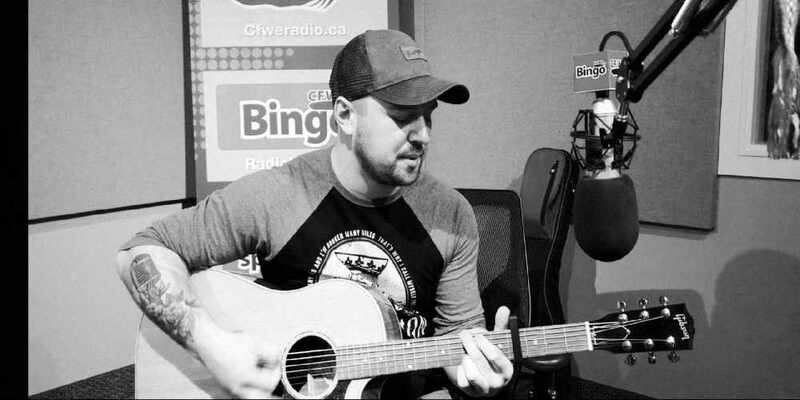 Check out this EXCLUSIVE video of Brody Siebert performing "Does it Make You Lonely" LIVE and Unplugged at the CFWE studios in Edmonton, Alberta! Check out this UNPLUGGED performance of The Prairie States newest single, "Just Maybe" as they kick off their radio tour at CFWE studios! Oilers coach Ken Hitchcock and the Indigenous community that changed his life. New Edmonton Oilers coach Ken Hitchcock talks about the importance of hockey for indigenous youth, his life changing experience in the northern Alberta community of Calling Lake and the "Lucky Cree Lanyard" that started it all! 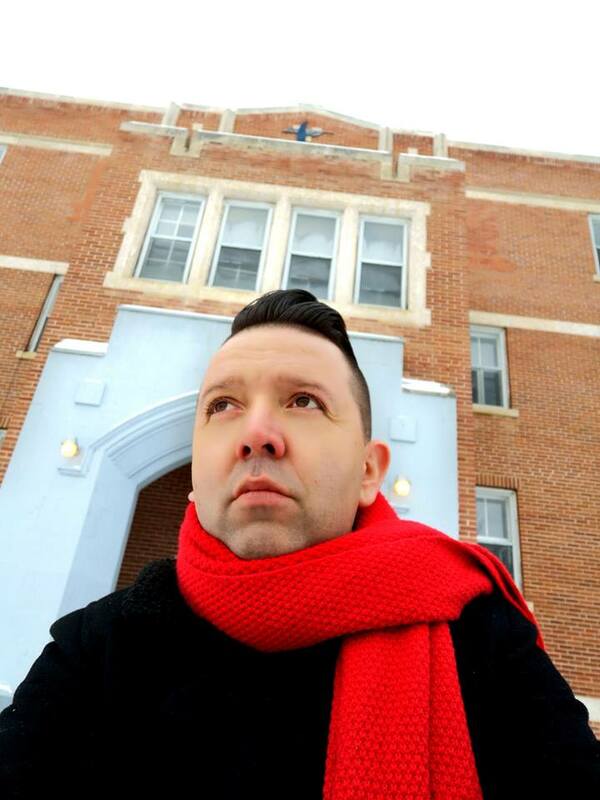 "My Mom and auntie both left their mark in the halls of this Former Residential School...now I have too." 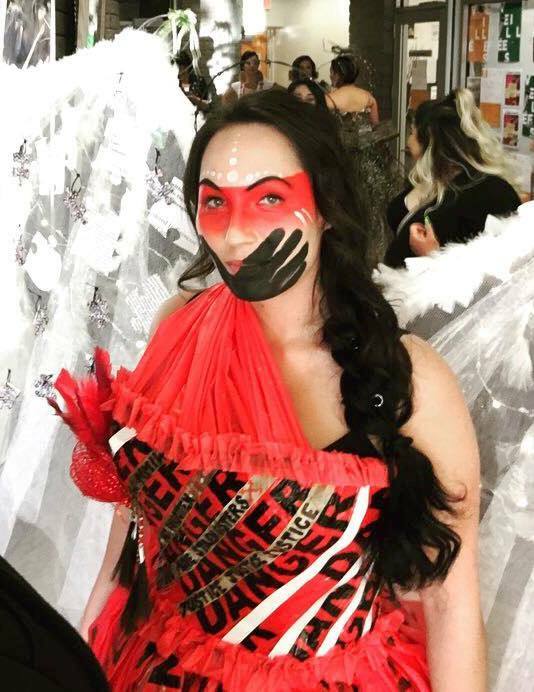 Northern Cree Artist Rhonda Johnson spotlights Indigenous issues through contemporary design. This Artist showcase features Cree Artist, designer and entrepreneur Rhonda Johnson. 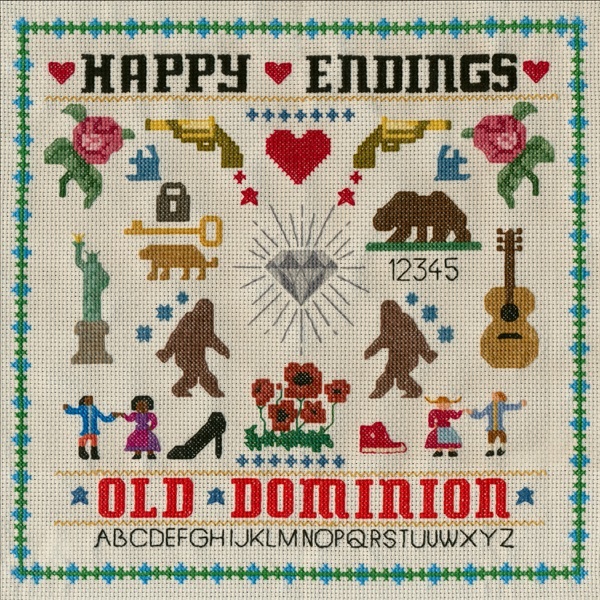 Her design work is rich with cultural influences, political commentary and family values. 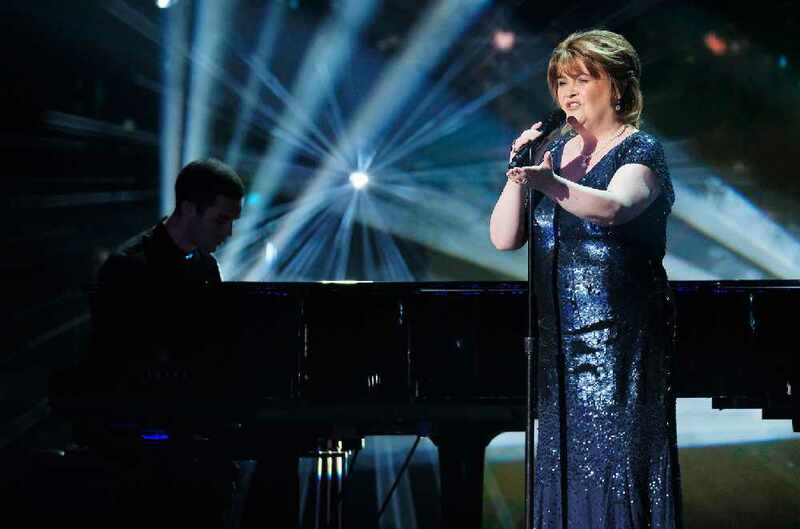 Susan Boyle Earns Golden Buzzer With Iconic "Wild Horses"! The most infamous reality show singer, Susan Boyle, is BACK for the "Americas Got talent "Champions show and gets a GOLDEN BUZZER!! So tender....you gotta watch it here! DREAMS COME TRUE!!! Chiefs in B.C. stand opposed to Coastal GasLink pipeline! 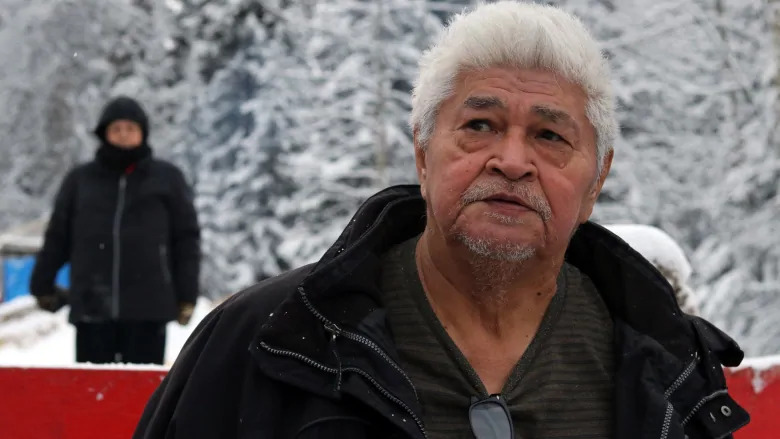 Hereditary chiefs and their supporters are standing their ground in a remote area of B.C., despite a court injunction saying they must move and grant access to a company trying to build a pipeline in the area. New "Choose you Own Adventure" movie on Netflix is much darker then the kids books we used to know. 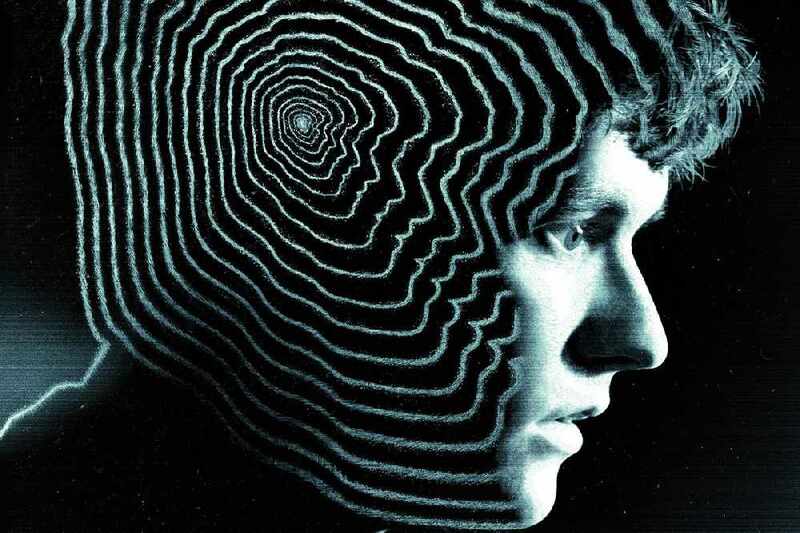 Netflix's cutting edge film 'Black Mirror: Bandersnatch' has the viewers choosing to commit suicide, murder their parents, or kill their co-workers. 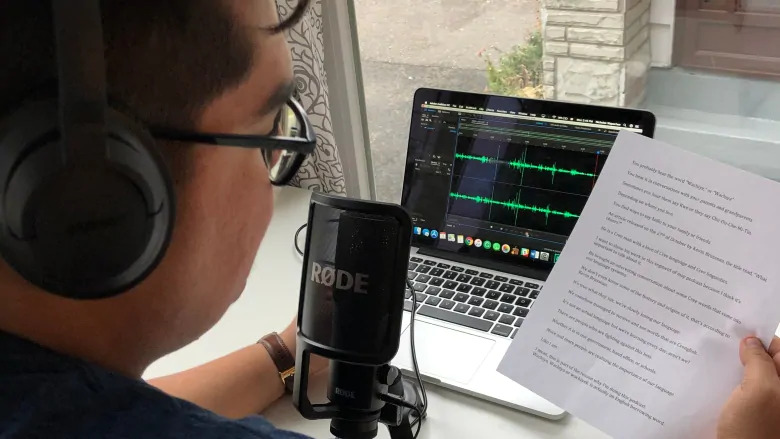 Indigenous podcast out of Northern Quebec aimed at increasing Cree usage among young people. A Happy New Years message from me to you! Watch this personal New Years Messege from me to you! 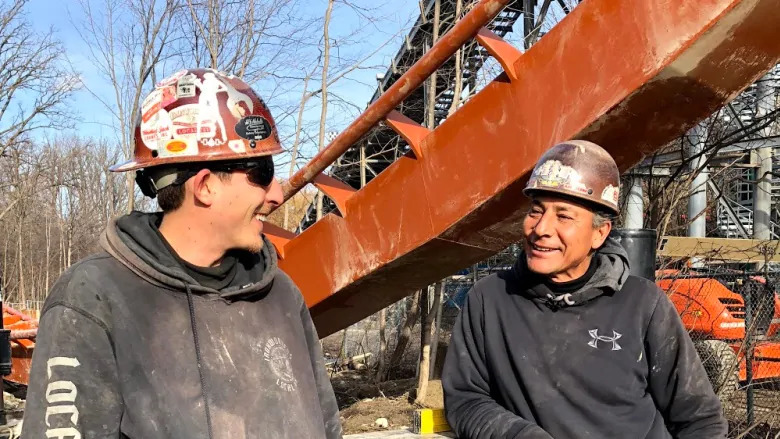 Indigenous Father and Son help build the world's BIGGEST Roller Coaster! 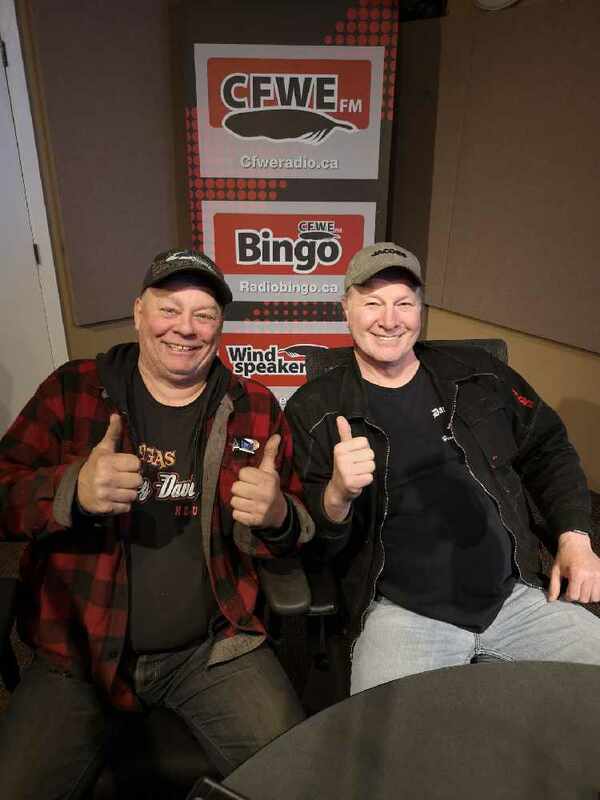 Mohawk Ironworkers Kyle and Kim Baptiste help build the wolds biggest Roller coaster in Canadas Wonderland! 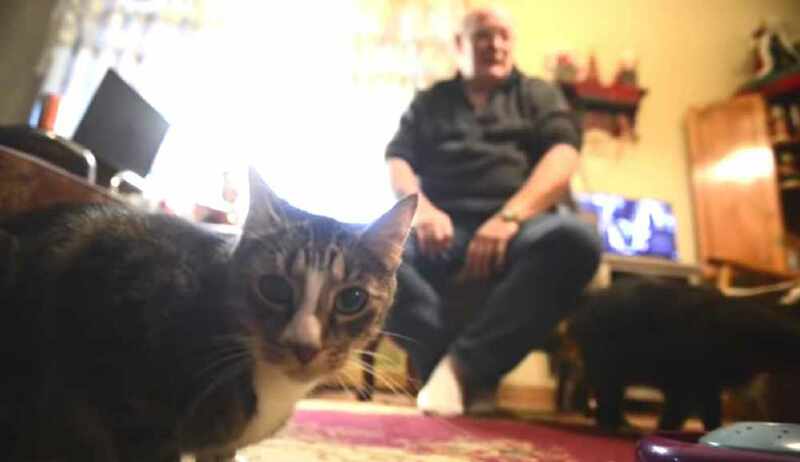 Package thief gets away with a box full of kitty poop! A Pennsylvania man was tired of people stealing packages from his porch and left a smelly surprise for the next lucky thief! Watch the video here! Father/Daughter duo get over 15,000,000 views after touching concert video goes viral! Watch this amazing video of a Daughter signing the lyrics to her dad at a concert and feel the "Good Vibes"